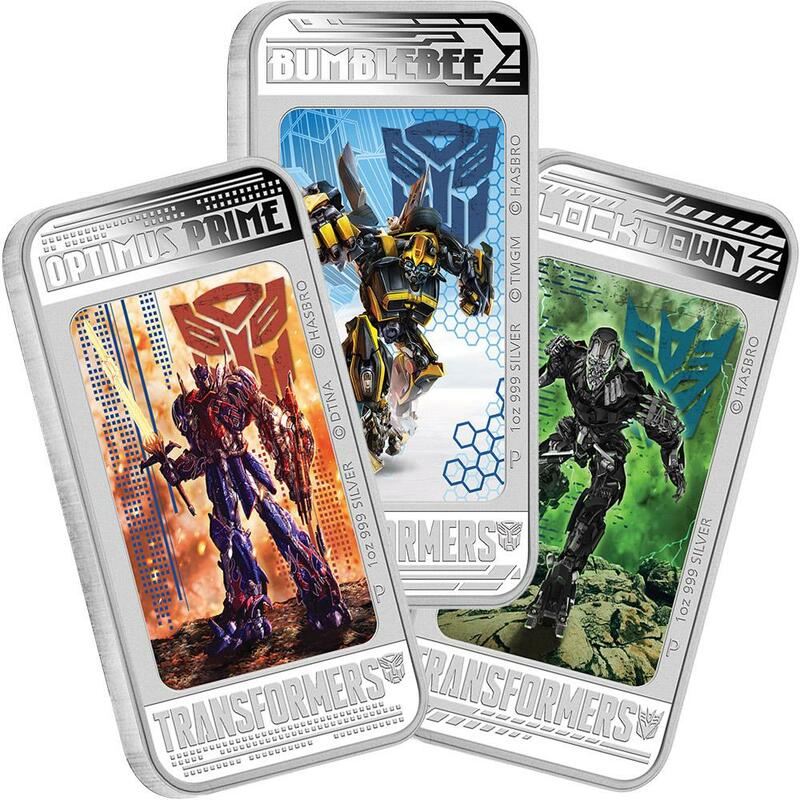 Available now before the actual release of the movie they celebrate are the Transformers: Age of Extinction 2014 1 oz Silver Proof Lenticular Coins. These coins are composed of one ounce of 99.9% pure silver and feature reverse lenticular designs of three of the main movie characters, Optimus Prime, Bumblebee and Lockdown. Each features a limited mintage of only 5,000. The coins are available individually, or as part of a three-coin set. "Four million years ago on the planet Cybertron, emotional and perceptive robots with the ability to think and feel, known as ‘Transformers’, inhabited the planet," offers the Perth Mint on its website. "This highly intelligent race of ‘robots in disguise’ was divided into two opposing groups, the heroic and admirable Autobots, and the evil Decepticons." "With the ability to disguise themselves by transforming into everyday vehicles such as cars and trucks, the robots can live undetected on Earth. " The three unique reverse lenticular designs allow the character to transform from its robitic self to a vehicle as the coin is shifted in the light. Color in each design enhances the portrayal. These releases are struck under official license of Hasbro. Each is issued a legal tender under the authority of the Government of Tuvalu. Individual coin pricing is AUS $ 104.55. The three-coin set may be purchased for AUS $ 286.36.